Mullet Roe is also known as “black gold” in Taiwan, seen as a treasure from our local waters. Three-cup sauce and Five-Taste Sauce are the most classic sauces of Taiwanese cuisine. If you’ve been enchanted by the flavors of classic Taiwanese dishes, the “Taiwanese Gourmet Menu” experience is made for you! During the 3 1/2 hour class, you’ll be guided through the historic traditional KuangFu market to touch, smell and take in the local vibe. Meet the vendors who offer locally grown, seasonal goods and learn the techniques to selecting the fresh ingredients from our instructor. 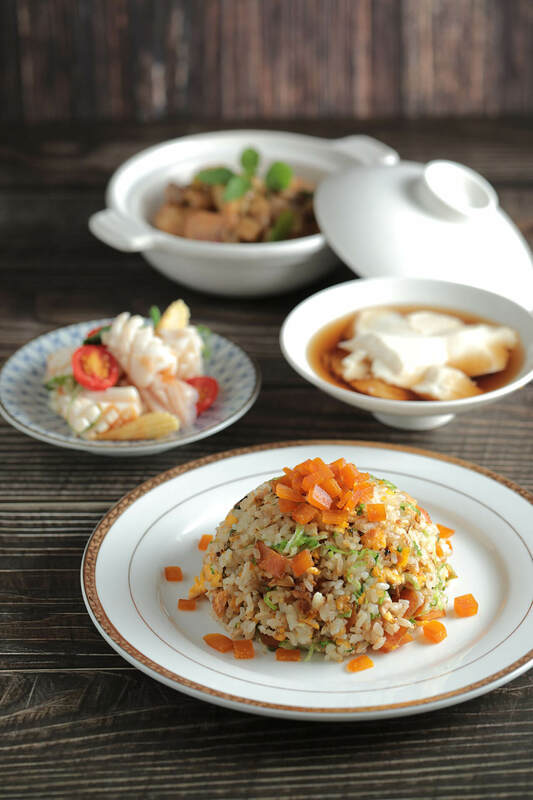 Once we return to the cozy CookInn Taiwan classroom, you will learn the 3 Classic Dishes: Mullet Roe Fried Rice, Three-Cup Chicken, Squid with Five-Taste Sauce, plus a dessert – Soft Tofu Pudding. You’ll not only bring home the cooking techniques but also hear the stories behind these delicious dishes!